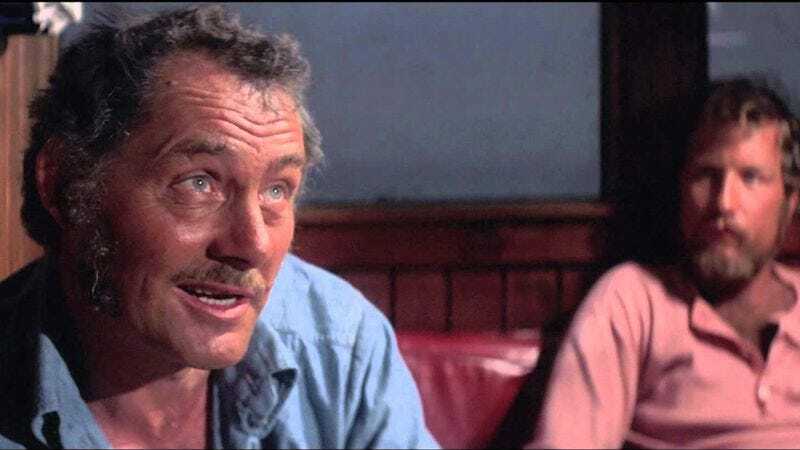 The speech given in Jaws by Quint (Robert Shaw) about the disaster that befell the crew of the USS Indianapolis during World War II is justly praised, and has caused more than a few members of its audience to wonder what that awful experience might have been like. It looks like they may get their wish, at least in part: Deadline reports that director Tate Taylor (The Help, Get On Up) has been hired to direct a film based on the story of the ill-fated warship. For those with hazy memory of Shaw’s monologue (crafted in part by Shaw himself), a brief refresher: The ship was returning from delivering the atomic bomb dropped on Hiroshima when it was sunk by torpedoes. As the surviving navy men floated in the water, they underwent a horrifying ordeal, which you can get the specifics of by watching the clip below—though it could be considered spoiler-ish for this new film, if you’ve never seen Jaws, or never read history. Tate’s version, to be produced by Robert Downey Jr. and Susan Downey for Warner Bros., will focus on the true story of the 11-year-old student in 1996 who uncovered the real details behind the unjust court-martial of the captain of the Indianapolis after the disaster. Which, if you ever need a quick shorthand for how Hollywood operates, ”making a story about the worst U.S. Naval disaster in history all about a plucky 11-year-old” is fairly solid. Team Downey has hired screenwriter Mike Jones, who penned the English translation of The Wind Rises. Taylor is currently writing that Sandra Bullock movie abut Tupperware he’s also set to direct. This year marks the 70th anniversary of the ship’s sinking.